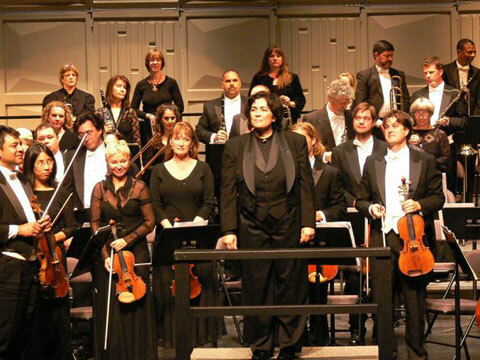 Key West Symphony History The Key West Symphony Orchestra is the manifest dream of Music Director and Conductor Sebrina MarÃ­a Alfonso. She was joined in her vision by townspeople and city leaders interested in making live symphonic music accessible to the community and its young people both as a performing art and as an educational experience. This is not an easy undertaking by an island community located at the end of a sparsely populated, one hundred and fifty-mile long, rural chain of islands. Maestra Alfonso was born and raised in Key West, a fifth-generation member of a Cuban-American family. Even with clear success and accolades during the years she studied and performed across the country and in Europe, Key West continued to hold a special place in Sebrina MarÃ­a Alfonsoâ€™s heart. With the support of her family and friends, Ms. Alfonso returned to Key West and founded the Key West Symphony Orchestra in August 1997. A fundraising concert was performed in March 1998. The event attracted enough interest that core supporters suggested a debut of a full orchestra in December of that year. The KWSO reserved the Tennessee Williams Theatre and recruited forty-eight musicians from symphonies around the country. Symphony organizers adopted by-laws, named a diverse Board of twenty-two directors and elected officers. Fundraising moved into high gear with support from the community and corporate sponsors. On Friday, December 11, 1998, lights dimmed at the Tennessee Williams Theatre and the KWSO dream became a reality. Both the inaugural concert and the childrenâ€™s free educational concerts on the previous Wednesday were received with bravos and rave reviews.